You've got the mental drive, the cash and the choices. Now you're going to buy a bike and you're swamped with the choices. First things first, get a bike fit. No point in plunking your hard earned moolah into a boutique brand bike with top of the line components if the bike doesn't fit you. But it only accounts for height and legs. It does not measure your torso or arms. 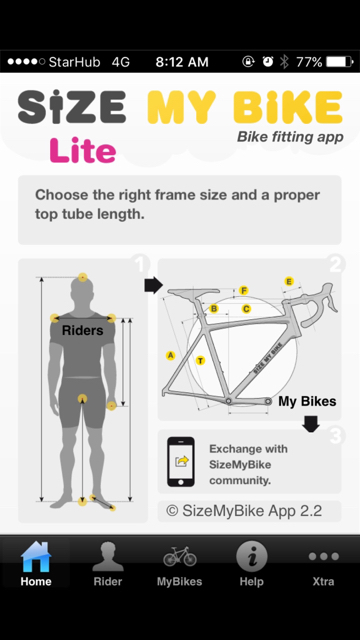 I find this link below better, if not the best, if you want online bike fitting. Now, what is bike fitting for? It's to make sure the bike fits you, a frame too small or too big will cause body pain in the long run. Print out the results of your measurement and bring a measuring tape to a bike shop. Better get odd looks for measuring than buying the wrong bike. NOTE: Whoever tells you that if you're tall you need a 29'er is dead wrong. Frames are adjusted to the wheel size they roll in. If you're using a 17" 26'er frame, it's the same frame size in a 650b or 29'er. And yes, a 5'2" rider can ride a 29'er with a correct frame. NOTE: Whoever tells you that if you're tall you need a 29'er is a MOFO. Go to a different bike store! hehehe Frames are adjusted to the wheel size they roll in. If you're using a 17" 26'er frame, it's the same frame size in a 650b or 29'er. And yes, a 5'2" rider can ride a 29'er with a correct frame. the simplest and most sensible bike fit i've ever seen is from lee mccormack - www.llbmtb.com/. For US$19/mo you get an online bike fit which you do yourself at home plus a bunch of training references. The price is a fraction of the fee you pay for local bike fits with a whole lot of benefits. If you don't want to pursue, you can terminate after your first month - easy. Im 5'8 at ang virtual top tube na bigay sa akin ay 24 inches....parang mahirap hanapin ang fit sa akin na pasok sa budget hehe..
1500 sa bike town cyclery tapos schedule ka bike fit for mtb. I was just looking at the Giant ATX specs a while ago to answer a post about it and it looks like you would fit a Medium on that frame. You can check the specs at manufacturer's websites, then head over to the store to see your riding position on it. I think it should be fine. MTBs are more forgiving when it comes to bike fit. 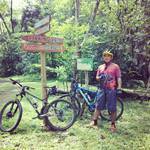 Question mga sirs, i have already a mtb hardtail. if i want a proper bike fit to be done. Dan's or Lifecycle offers this service correct? Life cycle and BTC has this service. Not sure about Dan's though. Mar 3, 2017 0:50:34 GMT 8 schwinn4015 said:1500 sa bike town cyclery tapos schedule ka bike fit for mtb. esulit..tinignan ko specs ng giant atx mukhang sa large ako pasok 24 yung top tube nya...dalawang shop p lang napupuntahan ko..puro medium ang mga bikes nila...magsscout p ulit ako..
jesmac, you can call lifecycle green hills or MOA to see if they have stock. You can also call ROX BGC, those were the stores I saw carrying ATX. As for the bike fit, what you won't get from competitive cyclist is the fit of the right saddle height and right stem rise and length. That has to be fit also. Hmmm. I always thought that the pic on the left was the right one. Does the first pic cause stress on your back in the long run? not on the back, but you'll not be pedalling efficiency (see the leg angle). and you'd have a lot of drag due to the more upright position. 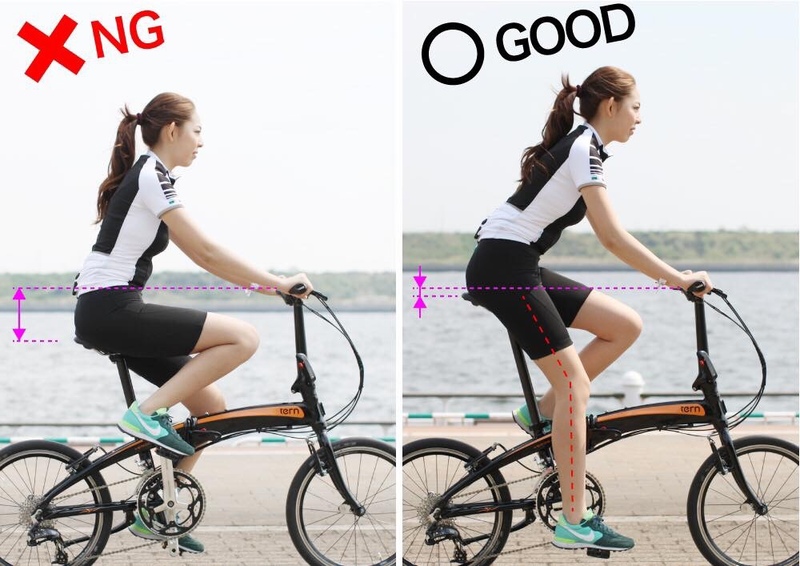 in any kind of bike as long as you bend at the hip joint (aka hip hinge), your lumbar area will be fine. Question, right side pic is that optimal for all bike discipline. I ride more aggressively I prefer more slack and lower seat for low center of gravity. for aggro riding, it's okay. but for general purpose and racing, the right side pic is better. pedalling is more efficient, drag is lessened and weight is more centered between the two wheels. by aggro it means more on the DJ, Trials, DH, FR types of riding. kung mapera lang ako gusto ko mag pa bike fit sa primo cycles. As a mountain biker, I wouldn't spend money on a bike fit. A fit that seems comfortable inside the studio or shop will not necessarily translate on the road, and will definitely not translate well on off-road trails. Also, please note that bike fitting can have many variations depending on the fit system, experience of the shop staff, including how you feel on that day. All of which are pretty much irrelevant when you're going through loose soil, rocks, ruts, roots, mud, off-camber portions, etc, and you're using: suspension (fork or full-sus), tires bigger than 1.95, tubeless setups, flat pedals, wider chainlines (e.g. boost), dropper posts, and a host of other factors that one cannot easily measure in a studio. from what i've noticed from friends is that 'professional bike fits' offered by local shops tend to be on the longer side, which ime greatly limits a rider on the trail. for this reason i never engaged in a form of bike fit from any shop. i did had my schedule booked a few years back when i started, but didn't take it. one thing you need to consider is that nowadays is that frame manufacturers create long geo frames compared to what they have been making years back. for this reason, one has to size down on next purchases as the longer geo cannot be compensated with by a shorter stem. take a look at spez enduro rigs and compare geos now from previous years. on the topic of stem, yes you can compensate for the frame by adjusting your stem length, only to a certain extent that is. pesonally i'd stick to a 50mm stem max and just go lower if needed regardless of the bike setup - xc, trail/enduro, dh, etc. this leaves a very narrow window for adjustment hence a correct pick of frame is very important regardless of the wheel size. mtb in itself is not very critical when it comes to sizing unless you go beyond the extreme ends of undersized frame or oversized frames. however, you'll feel the need (perhaps requirement) for a shorter frame when going down steeps, dropping, jumping and hoping - not during going up or riding on flat ground. why those specific moves that will tell you your fit? 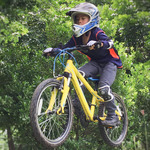 they require dynamic range of motion and power delivery which are basic when it comes to mountain biking. if really unsure of which frame, i'd err on the shorter side, but not crazy short that it'll feel cramped. overall it's really hard to say what one really needs unless you've really ridden for quite sometime on various terrains, but you'll get to know it as you gain experience. Bike fitting make sense for road bikes IMHO Since you are riding mostly with same riding position for the duration of the ride, while for mtb especially if one is riding mostly on trails that most of time you are hovering over your bike... bike fit In my opinion is not necessary, as long you follow the recommend size for you by the manufacturer you are good to go and bike test ride is the best way to know what fits you. This topic is swak for my dilemma now. I have a medium MTB and seems okay in riding paved roads/off-roads but when it comes to trail, I noticed na parang hirap ako maneuver ? Does it mean I need a smaller size bike ? 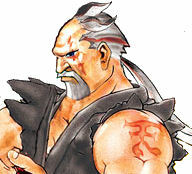 I'm using stock Giant Stance Medium. I'm 5'6" with shoes. haha!!! I left my mtb in PH and now working abroad, looking for a bike for city / trail weekend ride. Kinda hesitant to buy smaller size bikes. BTW, there's a local rider here who is 5'8 or 5'9" who loves trails. He told me he prefer 26er, "small" size bike. Look at him, the bike looks small like a bmx when he is riding it. He also have 27.5 and 29er, all small size. How bout you guys ? A Medium Giant Stance is just right for off-road stability for a guy who's 5'6". What type of trails are you riding? What do you exactly mean by maneuverability? And what particular bike setup did you have? Are you using a dropper post? What tires do you have? What's your tire pressure? How did you set up your suspension? Most pros and racers size up these days, getting really long bikes and choosing 29" wheels. It's for better stability on technical (rocky) lines, better straight-line speed, and more room inside the bike for the rider to move in. Guys who do tricks and like flicking their bikes a lot generally prefer smaller sizes and smaller wheels. Yeah I think need to ride more. I left my mtb in ph so currently looking for decent yet cheap ht.